We spent my birthday weekend in Hong Kong. We were all so excited as this was our first trip abroad together. 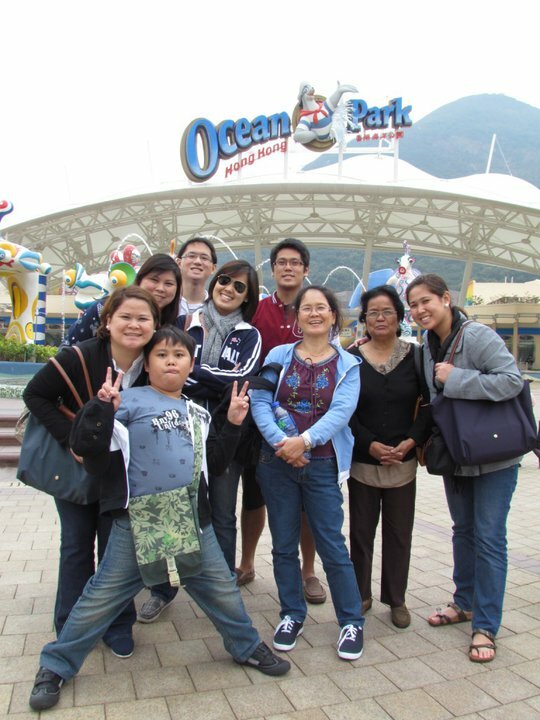 The happy tourists were D1, D2, D3, D4, my son, Ethan, my mama, Jan and myself. We booked a hotel but did not make any transportation arrangement. We took public transport and it was fine. My birthday was on March 11. 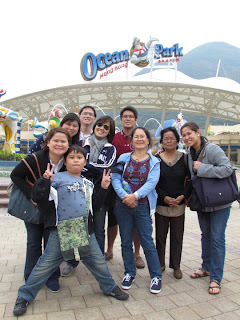 Yes, as we were happy gallivanting all over HK, the Japan earthquake and tsunami occurred! The photo at right was taken in Ocean Park. Some of the attractions were closed, but the dophin show was not. It has been ages since I last saw one. Dolphins should be out in the sea and not performing for humans! So what were we doing in Ocean Park? The kids wanted to try the free-fall ride.